Motorola is shockingly silent this year as the company did not have any major launch. However, it looks like we don’t have to wait much longer to witness 2018 Motorola devices. 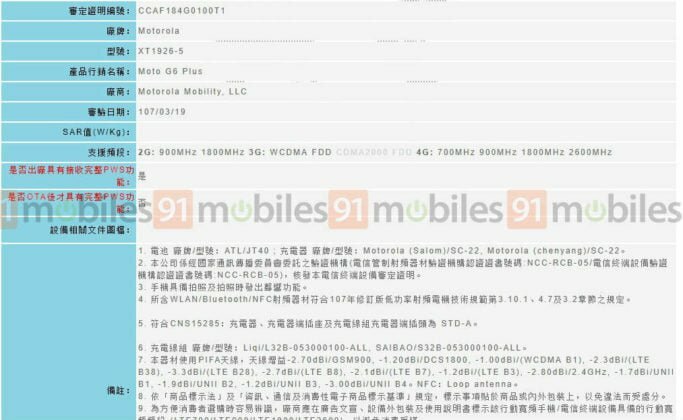 The Moto G6 Plus has now paid a visit to Taiwanese NCC certification website, hinting at an imminent launch. While the certification site did not reveal any key details about the smartphone, it confirmed that Motorola is gearing up for the launch and it might happen in the first or second week of April. The Taiwanese variant of the Moto G6 Plus will come with XT 1926-5 model number and do make a note that the model numbers differ with a country. The listing confirmed that the phone would come with a Snapdragon 600 series chipset. The listing, first spotted by 91mobiles reveals the network bands of the Moto G6 Plus. 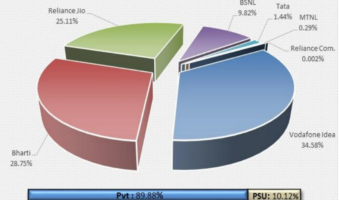 It supports a plethora of 4G bands, 900 MHz & 1800 MHz 2G bands and also comes with WCDMA support. Also, the phone is confirmed to have NFC chip. That’s all the information we have on this listing. The Moto G6 family was speculated to be released at the Mobile World Congress 2018 event in Barcelona, but for some unknown reasons, the launch date was pushed. 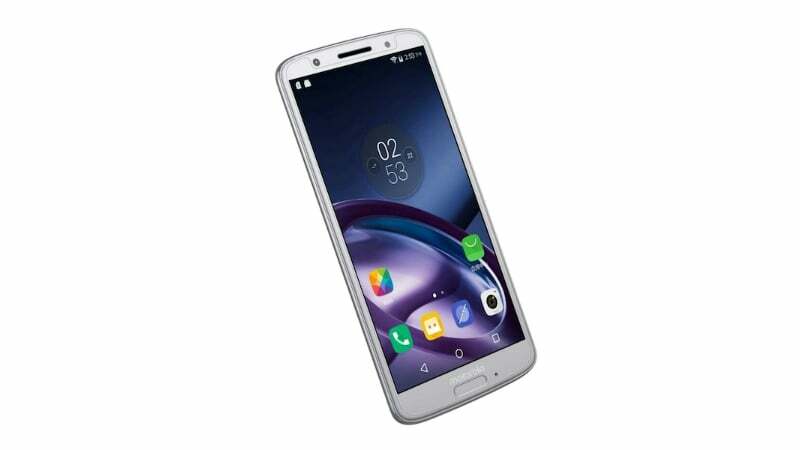 The G6 Plus will lead 2018 Moto G6 family, and there will be a couple of other phones- the standard Moto G6 and the Moto G6 Play. The Moto G6 Plus, as the moniker itself suggests boasts better specifications. Going by the rumoured spec-sheet, the G6 Plus will flaunt a 5.93-inch display with an 18:9 aspect ratio and a Full HD+ resolution. 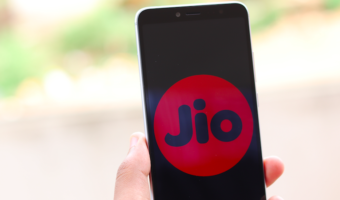 The device will be powered by the Qualcomm Snapdragon 630 chipset, paired with 3GB/4GB/6GB of RAM and up to 64GB of internal storage. 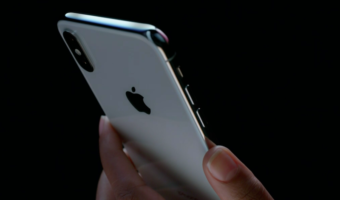 There will be a microSD card slot for storage expansion. Like several other smartphones releasing in 2018, the Moto G6 Plus will also feature dual rear camera setup with a 12MP primary sensor and a 5MP secondary sensor. A 16MP camera will be present to the front of the phone, as per the reports. All the Moto G6 devices will boot Android 8.1 Oreo out of the box with Project Treble support. The Moto G6 Plus will have a 3250mAh battery. Having said that, there’s no information on the launch date of the Moto G6 devices. But Motorola should launch them immediately as several Moto fans across the world are waiting for the G6 series to arrive and take on the likes of the Xiaomi Redmi Note 5 Pro. The Moto G6 Plus is rumoured to be priced around Rs 18,000 for the premium variant, but nothing is confirmed from Motorola’s end, so take this news with a pinch of salt. 660 supports 3CA. I doubt the 630 does. Even then, Moto won’t put 3CA for a phone under 20k. Oh yes I found out Sandeep. 630 supports 3CA and on GSMArena, the G6 plus has just 2CA. Disappointing though. Instead of buying people will buy Nokia 6 (2018) or Xiaomi Mi A2!!!! !